Stay on top of the latest kitchenware trends | Atelier du Chef - Looking for perfect bar furnishings? Looking for perfect bar furnishings? Setting up a bar or restaurant involves many decisions. How can you be sure you are making the right choices? Easy! From automatic glass washers to custom furnishings, Glastender will meet all your needs. Each piece of equipment is manufactured for minimal maintenance and maximum productivity. Glastender provides a quality product and a great return on investment. 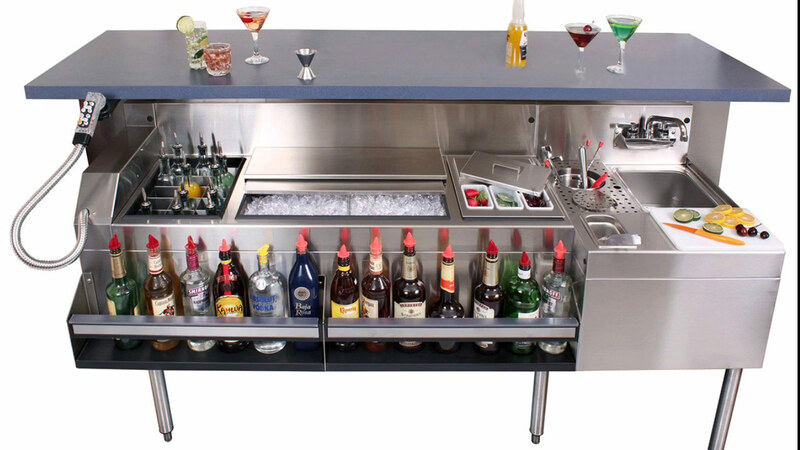 They offer a wide variety of products for bars, as well custom units. Many Glastender features have become industry standards amongst competitors. These are Glastender’s most famous products. These devices are efficient for improved customer service. Their compact design also saves valuable space. All models are made of durable stainless steel. Their powerful cleaning system can remove stubborn stains and features automatic pumps that measure detergent and disinfectant levels. Your clients will no longer wait due to a lack of organization. Glastender’s three types of stations will make your staff’s life easier. Choose between an assembly line station for cocktails and one for handling dirty glasses, or a combination of both. Glastender offers a wide selection of under-bar units. They offer many possible configurations forefficient service. All units are designed and manufactured with your staff’s efficiency in mind. Easy maintenance makes these units a great long-term investment. Several prefabricated modules are available and easy to install. Glastender also provides custom units to meet your needs. Some units are directly installed and supported by the bar, which allows ergonomic and fluid assembly. Glastender also offers a wide range of bar fridges conceived and manufactured to offer quality, innovative products. Backbars with top sliding doors offer many advantages. Their one-piece top guarantees strength, and their powerful refrigeration system offers an automatic defrost timer. All units combine perfectly with other Glastender products. Many sizes and exterior finishes, such as black vinyl or stainless steel, are available to complement the galvanized steel interior. Glastender’s product range also includes two glass refrigerator models. 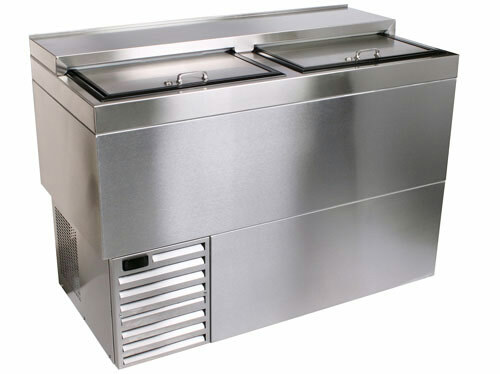 Both models feature an easy to clean stainless steel interior and flexible refrigeration options. These units allow you to chose the ideal refrigeration temperature for glassware. A traditional model with top sliding doors offers many advantages such as a robust construction and optional shelving. They complement every other Glastender units and are available in a variety of finishes and dimensions. A second model proposes front glass doors. Available in two sizes, it can be used alone or combined with other units. This refrigerator features three adjustable shelves per door, an adjustable thermostat, LED interior lights and seven different door options. Manufactured according to the highest quality standards, Glastender offers several food preparation stations and equipment. All beer and wine taps are manufactured according to the highest industry standards. Beer draughts are an excellent way of increasing your bar’s profitability. Glastender products guarantee the freshness of your products, microbrewery style! From classic distributors to decorative designs, you will find a product that suits your needs. As for wine distributors, Glastender only offers stainless steel taps. Indeed, stainless steel is the only material that protects the characteristics and delicate flavors of wine. With two separate refrigeration areas, your wine will always be served at the right temperature. Founded in 1969, Glastender commercialized the very first automatic glass washer.This cutting-edge device saves valuable space and time wasted by hand-washing glassware. The company later designs a second innovative glass-washer, which is directly built-into the bar. 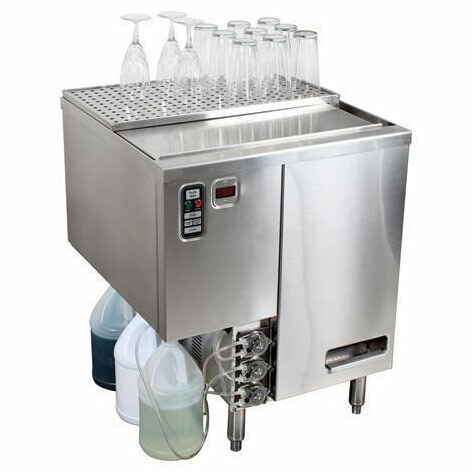 This equipment allows waiters and bartenders to work as a team for better efficiency. Galastender begins production in a 15 000 square foot factory. Since it’s humble beginnings, it has expanded its production facilities more than 5 times. State-of-the-art technology allows the manufacturing of high-quality products, which has contributed to Galstender’s success. Glasstender’s employees are an integral part of the company’s success. Advancement opportunities and training programs create a stimulating work environment. The staff has access to weekly results for a better understanding of the company’s inner workings. For Jon Hall, founder, creativity and flexibility are essential to the company’s corporate culture. These corporate values still thrive in the family business, which is why Glastender offers the widest range of products on the market. As you have seen, Glastender offers ideal layout solutions for every bar! It’s prefabricated models or custom units will meet your business’s needs. Our perfect layouts will make your employee’s life easier for better service and happier customers. Don’t hesitate to contact us for more information, our team will be happy to assist you in planning the perfect layout according to your needs!